Shay Colley missed Three Point Jumper. Taya Reimer missed Three Point Jumper. Mardrekia Cook missed Three Point Jumper. Sidney Cooks made Three Point Jumper. Assisted by Shay Colley. Nia Hollie missed Three Point Jumper. Lexi Gussert missed Three Point Jumper. Taryn McCutcheon made Three Point Jumper. Branndais Agee made Three Point Jumper. Assisted by Taryn McCutcheon. Sidney Cooks made Jumper. Assisted by Victoria Gaines. Mardrekia Cook made Three Point Jumper. Assisted by Taryn McCutcheon. Jenna Allen made Layup. Assisted by Taryn McCutcheon. Sidney Cooks missed Three Point Jumper. Nia Hollie made Layup. Assisted by Sidney Cooks. Nia Hollie made Layup. Assisted by Jenna Allen. Lexi Gussert made Layup. Assisted by Victoria Gaines. Victoria Gaines made Three Point Jumper. Assisted by Taryn McCutcheon. Victoria Gaines made Layup. Assisted by Nia Hollie. Kennedy Johnson made Layup. Assisted by Shay Colley. Kia Nurse made Jumper. Assisted by Crystal Dangerfield. Kia Nurse made Layup. Assisted by Gabby Williams. Gabby Williams made Layup. Assisted by Azura Stevens. Napheesa Collier made Jumper. Assisted by Kyla Irwin. Megan Walker made Jumper. Assisted by Azura Stevens. Azura Stevens made Three Point Jumper. Assisted by Napheesa Collier. 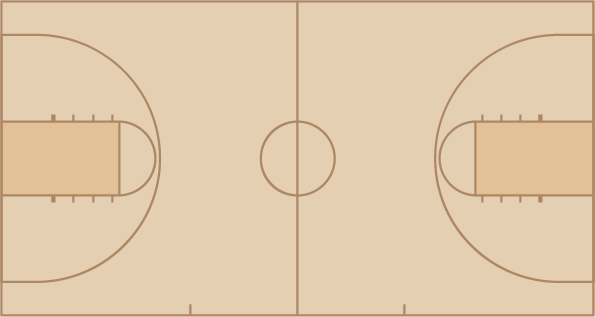 Andra Espinoza-Hunter made Three Point Jumper. Assisted by Gabby Williams. Gabby Williams made Jumper. Assisted by Kia Nurse. Andra Espinoza-Hunter made Layup. Assisted by Crystal Dangerfield. Andra Espinoza-Hunter made Three Point Jumper. Assisted by Azura Stevens. Megan Walker made Layup. Assisted by Mikayla Coombs. Molly Bent made Layup. Assisted by Megan Walker.